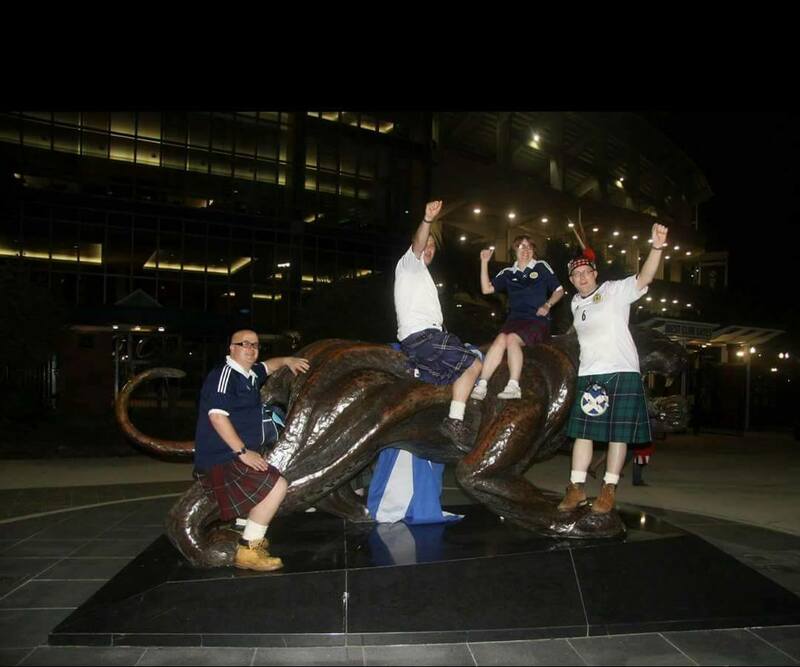 I often get asked “Why do you love following Scotland away from home?” and I simply answer – “The memories, laughter and the people you meet”. I have developed some wonderful friendships over the last 11 years of travelling. My first away game was Norway 2005, just 3 days after getting married to my husband, Kevin. He had been travelling for a couple of years with a group of friends, and was always coming back with funny stories and a huge smile (probably as he was away from me), so I thought why not! 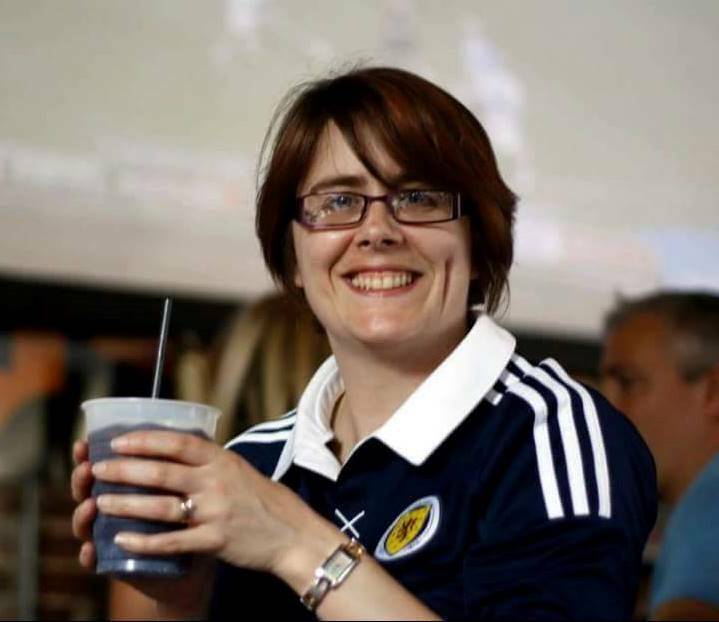 People thought I was crazy even contemplating going to a football match on my Honeymoon, but it was good enough for Mrs Strachan it was good enough for wee me! Over the last 11 years I have been to some amazing places. I was fortunate enough to see Scotland lift the Kirin Cup in Japan (2006), and I think that was the game that got me hooked. I have some fantastic memories from the pre-match build up from drinking in a bakery, parties on trains, planes and buses. Through travelling, I learned about the Tartan Army Sunshine Appeal (TASA), the original fans charity and the work that they do. 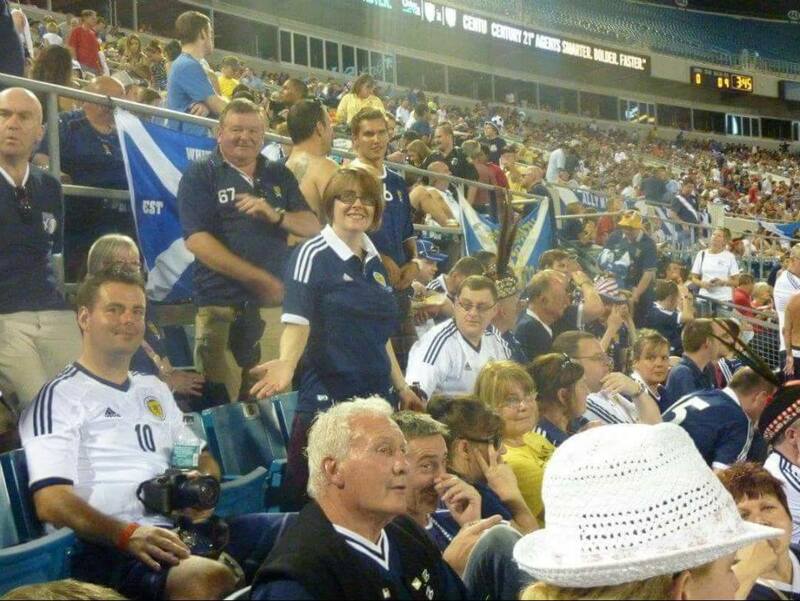 My first attendance at a presentation was USA May 2012 – Jacksonville. I was sharing a villa with Graeme Baxter, a Steering Group member in Orlando before the match, and throughout the week he had mentioned about the presentation and asked if Kevin and I wanted to attend. So on the morning of the game we did. I am so glad that we did, given later that day USA took 5 goals from us as what can only be described a nightmare game. So off we trotted on a hot summer’s day to the Jacksonville School for Autism. 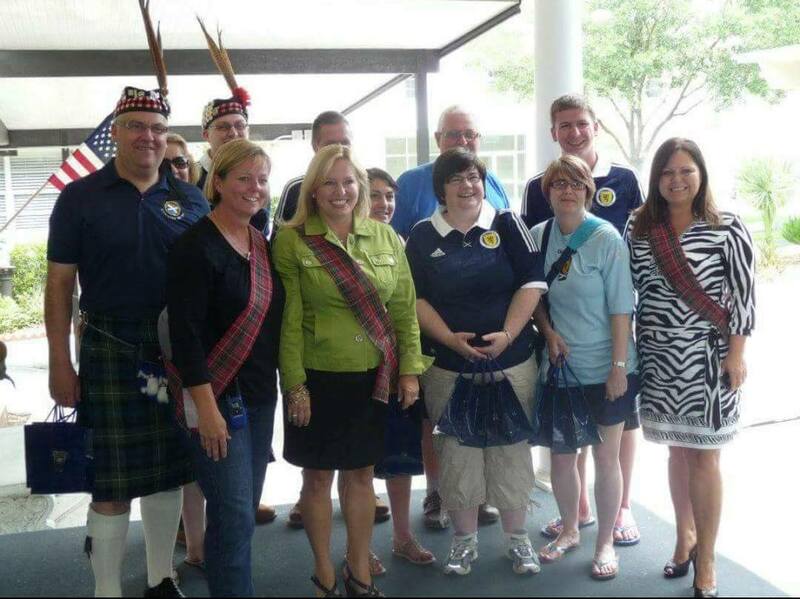 The staff and the children were so happy to see this bunch of Scots in kilts, tartan and Scotland tops. We were given a tour of the school and got to meet the children, and witness some of the classes. TASA made a donation of £1500 to the school that day, and during the presentation, I became overwhelmed with pride for the generosity and the good work carried out by the Guys and Dolls at TASA and had to fight away the tears, which then became easy as a fellow friend and TA Select Goalie started to play a tune on his bagpipes. What was making me laugh was one of the children had decided to show us his version of the highland fling and had become close to stepping on said bagpipe players sunburnt feet! Since then, I have taken some time out of the occasional trip and went along to other presentations. I often buy the merchandise that TASA offers as in return it goes to the fabulous causes on each trip. So if you are considering joining The Sunshine Appeal at a presentation, do it! You won’t be disappointed, and it is very rewarding, I am glad I did.